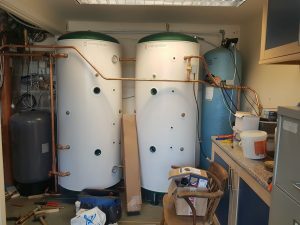 Ecompact 250 Install backed up by 3 Phase Solar PV | Bywhe Renewables Ltd. This customer already had a large solar PV array supplying some power to the house across 3 phases. 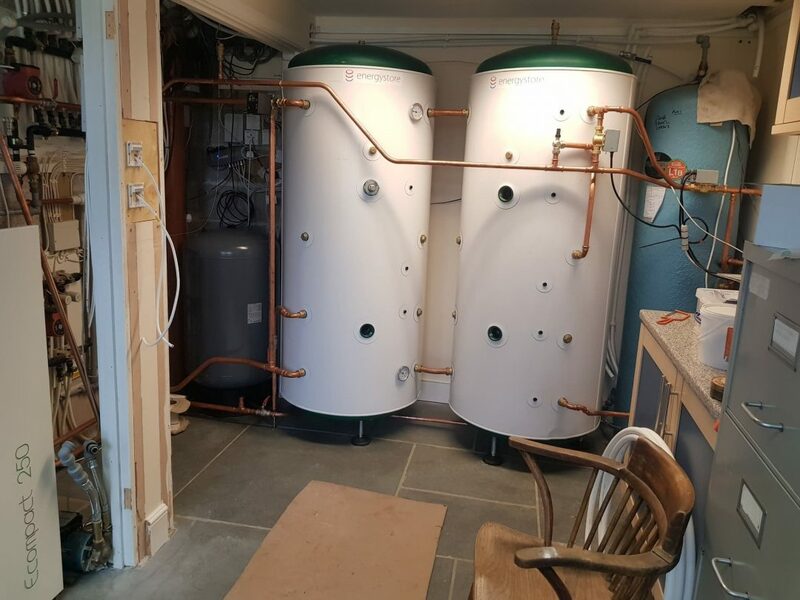 We have installed a Klover Ecompact 250 to provide heating and to heat the water for when their is not enough sun, for example during the winter. 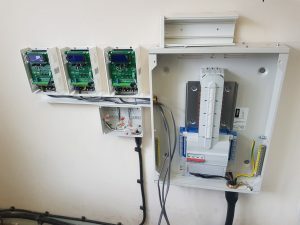 However, through the use of controllers we have been able to control and optimise the output on the solar panels so they are linked to 3 immersions across the thermal stores. 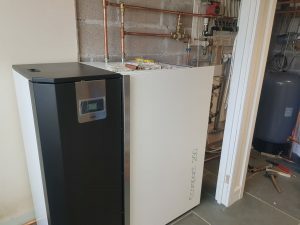 This means that when the sun is shining, instead of exporting the power back to the grid, the customer is able to heat his water free of charge. Not only are the solar panels heating the water, another feature of the controllers is that we are able to control some of the circuits within the customers house so that when the sun is shining the power from the solar panels is also diverted to the use of the washing machine and cooker. This allows the customer to use the appliances on his own free generated electricity.